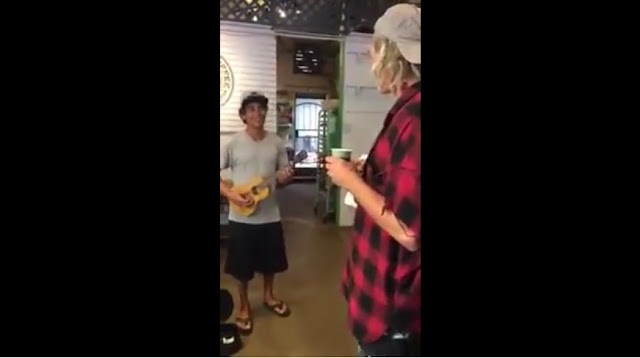 This street performer in Hawaii got the shock of his life after sharing an impromptu duet with Matisyahu and he didn’t even realized it. 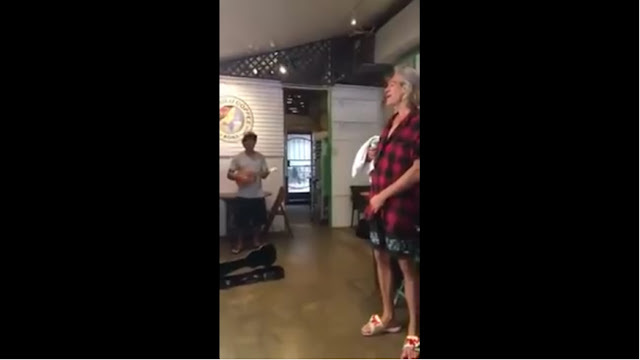 Local musician Clint Alama was performing the reggae star’s hit song, “One Day,” when a strange looking man in a backwards baseball cap and swim trunks joined in. 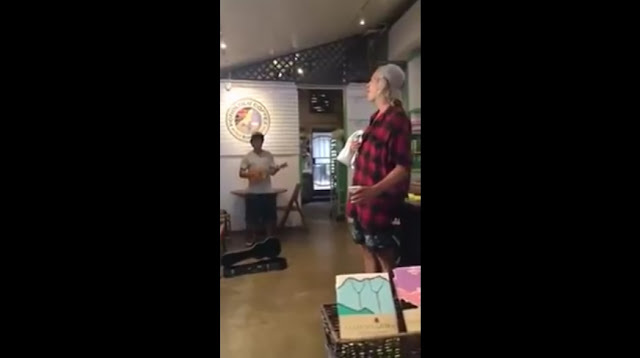 Unbeknownst to Alama, that man was Matisyahu himself. The artist stood to the side of the street musician, sipping coffee and belting in every few verse. 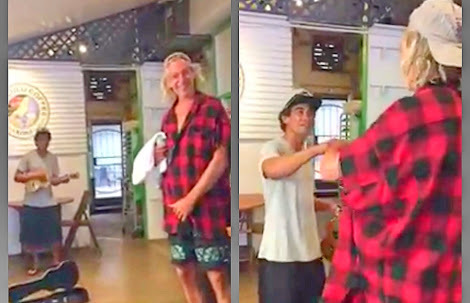 Once the song was finished, Alama immediately went over to shake the man’s hand only to realize it was the reggae star himself. Suffice to say, Alama was shocked. Liked the video? 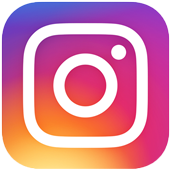 Then make sure to like our Facebook page for your daily dose of viral video fun!